Terms of Service: The Reason a Short-term Loan is Different than Conventional Financing Financing that is obtained for a short-term period usually comes with a quick repayment terms. 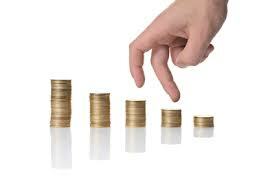 In some cases, you can obtain and repay back the loan in as little as three months’ time. The fulfillment of the loan amount then is based on the financing terms. Therefore, how the loan is repaid is what distinguishes short-term funding from conventional loans or long-term financing arrangements. Some Short-term Loans Last as Long as 15 Years Usually, long-term loans have terms that can last 20 to 30 years, and are often characterized by mortgages taken out for real estate. Short-term loans, on the other hand, can last up to 15 years, although most terms of financing are for a significantly shorter time. 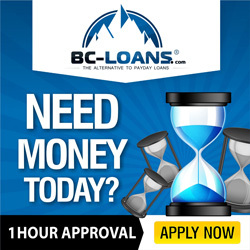 Emergency Cash Short-term loans feature a number advantages for both individuals and businesses. In most cases, the financing is used to relieve a financial deficit, whether it takes the form of a shortage of cash or a past-due payment. A Better Cash Flow Because short-term loans are generally a temporary measure for paying for an emergency, unexpected repair, or are used to off-set a shortage or loss, borrowers do not experience indebtedness for any real length of time. The loans, which are delievered on approval, enable businesses or indivdiuals to function with more liquidity. An Ideal Loan for Supporting the Financial Needs of Small Businesses If you are a business, then utilizing short-term funding can be very helpful, especially if you need the financing to support your inventory or increase your flow of cash. Banks often issue short-term loans to small businessees over the conventional kind as the loan carries less of a risk. An Unsecured Type of Funding Before the loan can be secured though, the lender needs to take a look at the cash-flow history of a business and its payment record. Most short-term business loans are unsecured, and therefore are not collateralized. As a result, the lender must focus on the credit history and score of the borrower. A Greater Risk of Default The only real negative associated with short-term financing is the increased possibility that the borrower may default. Because higher interest rates are tacked onto the loans and the repayment period is shorter, default is often a risk that arises as a result. The Decision for Funding: Components that Affect the Loan’s Terms That’s why a short-term business lender looks carefully at a company’s ability to repay and its credit score. These two components will influence the loan’s interest rate, the charges that are assessed and the terms for repayment. In most cases, when the loans are utilized for company use, they are secured to pay off unanticipated obligations.